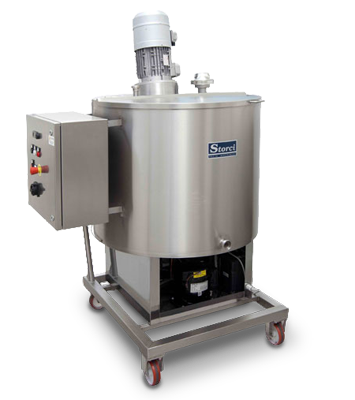 Thanks to its vast experience, Storci is able to create egg storage and dosing systems to meet the full range of pasta-makers’ needs. There are three different basic types of equipment: manual, semi-automatic, automatic. 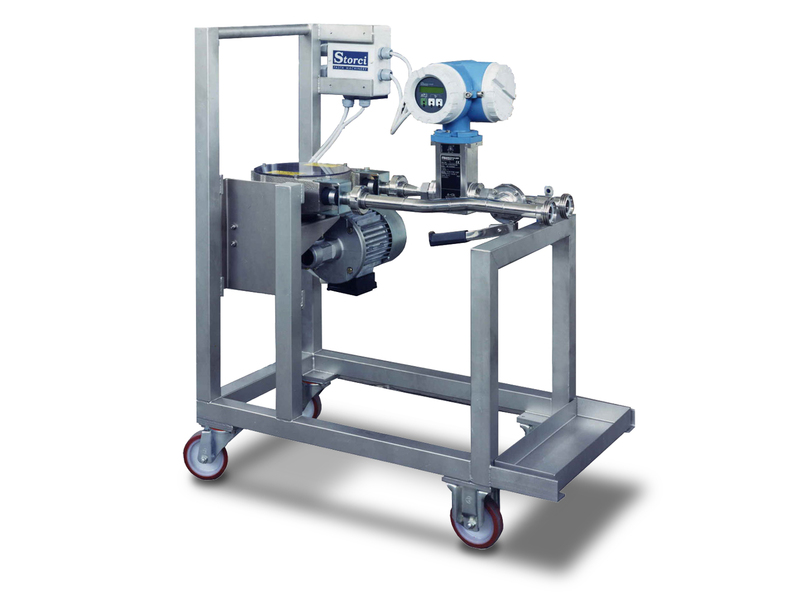 This type of equipment is designed for just one application, press or kneader. 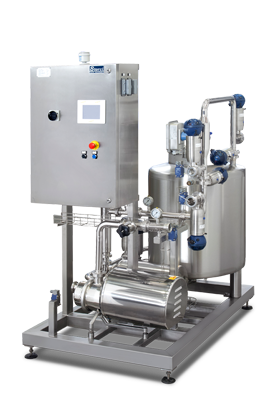 It includes an egg storage tank, pump and series of transparent flexible tubes with sanitary connections. 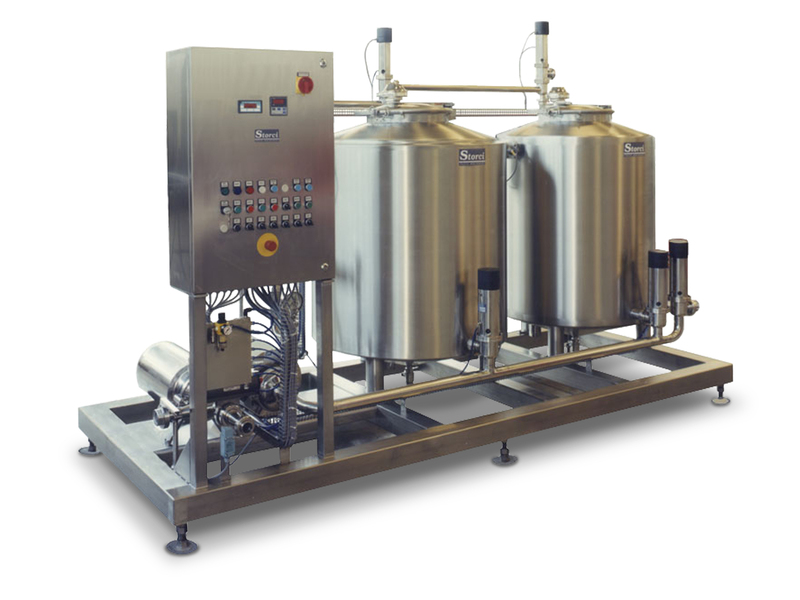 It does not include stainless steel piping because, in the absence of a CIP wash system, everything must be able to be inspected and disassembled for manual washing. 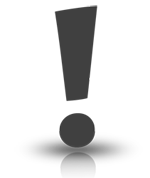 This system offers excellent operating features at an affordable price. 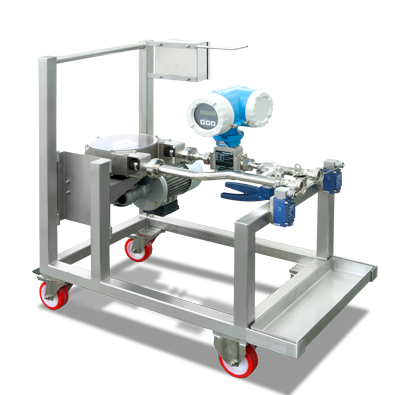 It is the ideal system for pasta-makers who must continuously feed one or more presses/kneading machines while conforming to stringent HACCP standards. 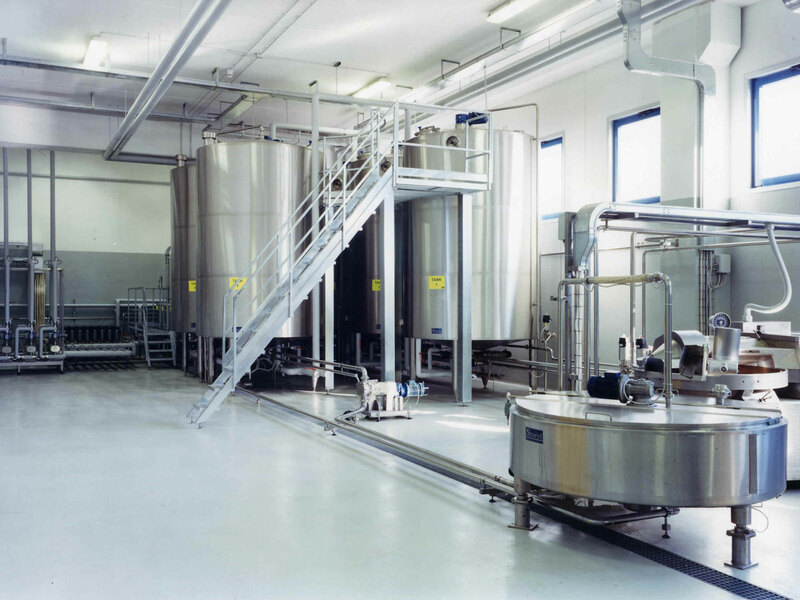 The system consists of an egg chamber from which exits only a series of insulated or sheathed stainless steel pipes with forced cold water circulation to feed the presses/kneaders, while the operational part of the system remains in the egg chamber. 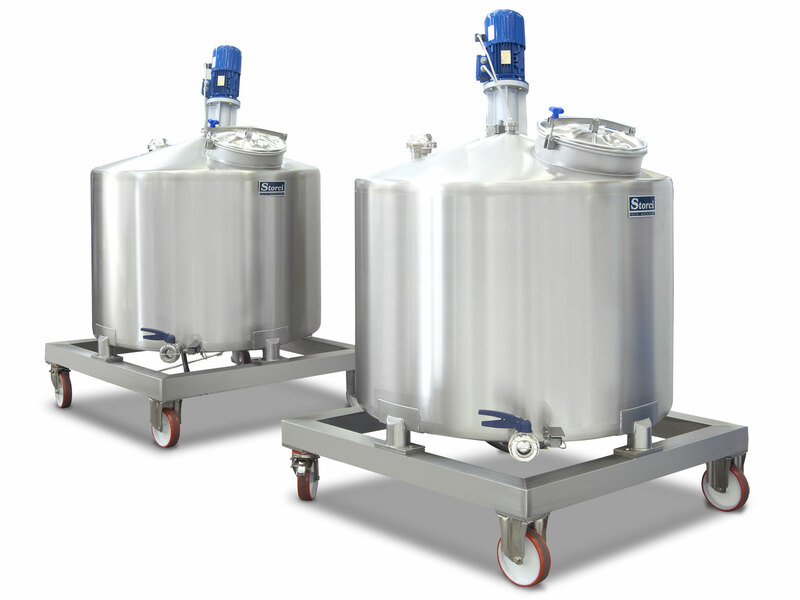 In its traditional layout, the system utilizes tanks from pasteurized liquid egg suppliers. 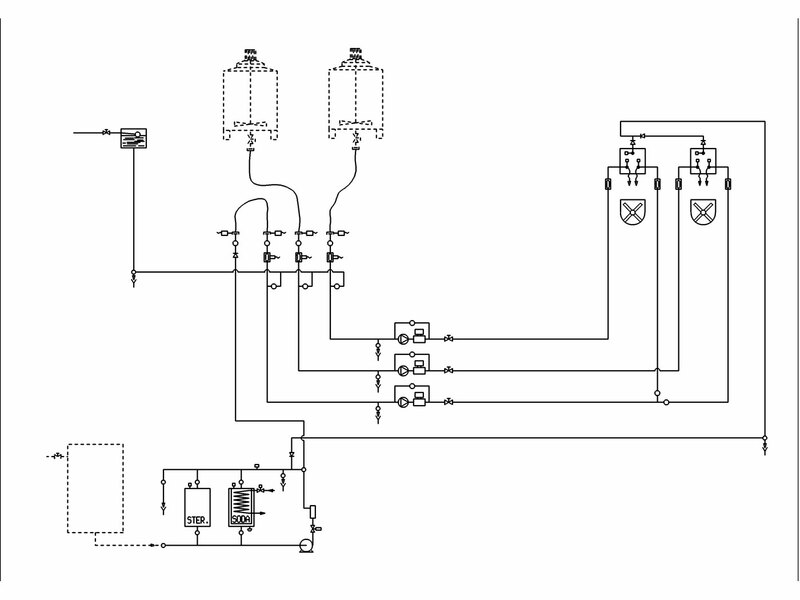 The only manual connection is that between the tanks and the pump/valve unit. 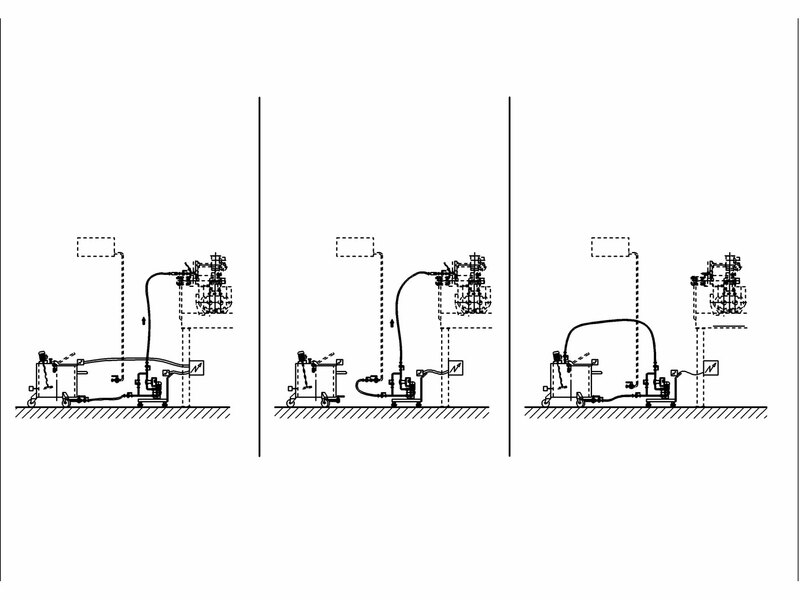 From that point, the various steps of the system (dosing, doser replacement, emptying and washing) are handled by a PLC that utilizes the above-described features of ease-of-sanification, dosing precision, security, and full recovery of egg and washing solutions and guides the operator in performing the limited number of operations required. 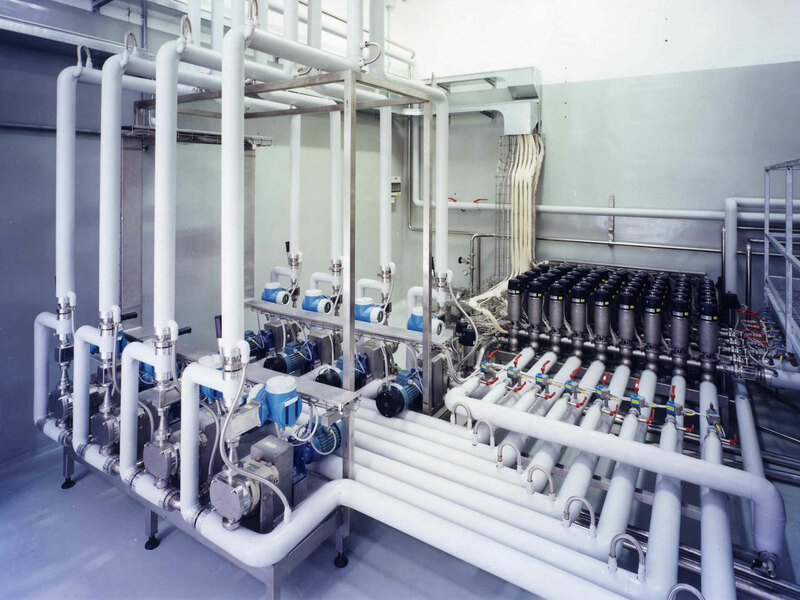 The system is normally equipped with a CIP unit with two/three tanks (soda, sterilizing solution and, if necessary, acid) with full recycling of wash solutions after each wash cycle. 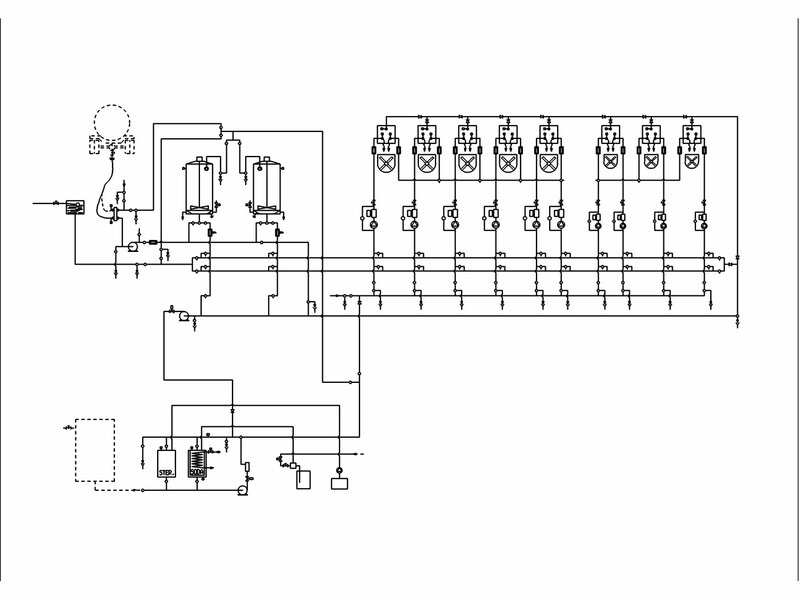 This system is recommended for pasta-makers with high levels of egg consumption, including different types of eggs. 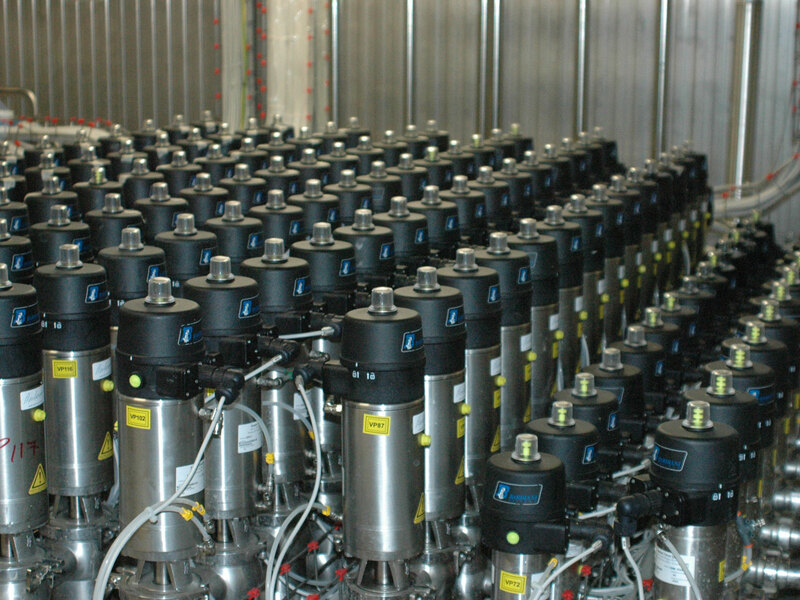 Unlike semi-automatic systems, it is normally equipped with a multi-tank egg storage system with 5-10,000 liters tanks, a sophisticated system of automatic valves to distribute the egg to the dosing pumps and a personal computer (with management software) to handle all phases by interfacing with the various production line electrical control panels to handle job files and store dosage trends. Reliability. Years of experience, on-going research into improved materials and meticulous product design have resulted in systems that are highly-efficient and reliable. Ease of sanitization. 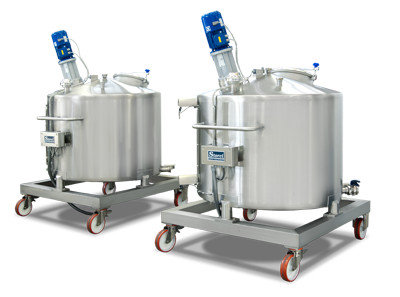 Egg dosing involves a series of steps - design, manufacturing quality and periodic sanitization - to guarantee that the bacterial level is kept under control. The equipment is designed to avoid hard-to-clean areas. Work must be performed by trained personnel because even the tiniest fissure in the welding could cause bacteria to proliferate. 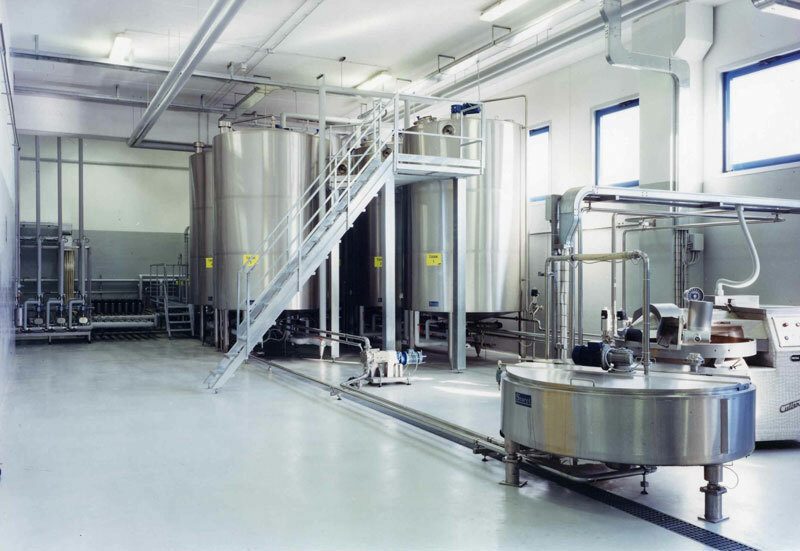 Sanitization must be performed periodically (we recommend every 10-30 hours) of all parts that come into contact with the product, utilizing (if possible) a C.I.P. unit. Dosing precision. 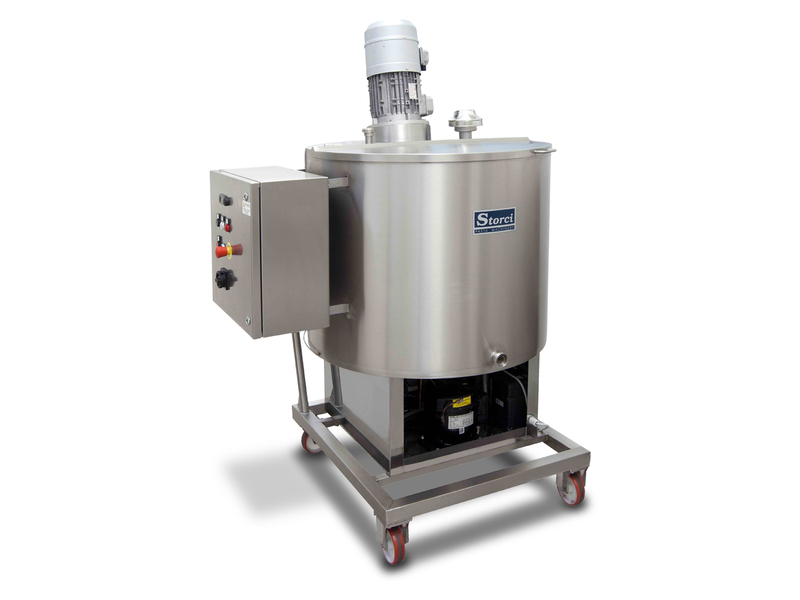 Storci systems are always designed to have the egg and water dosed separately. Egg is dosed in relation to the semolina, leaving the amount of water to be added up to the discretion of the operator. This makes it possible to maintain the semolina/egg ratio constant. Security. The use of control systems in each of the system’s points-of-risk guarantees against potential involuntary operator error. Ease-of-use. Irrespective of the specific method used, the system’s control buttons and instrumentation are always straightforward and user-friendly. In more sophisticated systems, personal computers that interface with the main electrical panels of the production line may also be utilized. Respect for the environment. 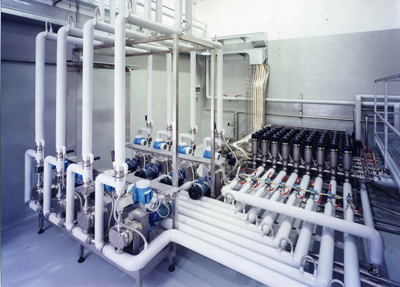 The use of Cip units with 100% recycling of wash water are in conformity with waste disposal standards.